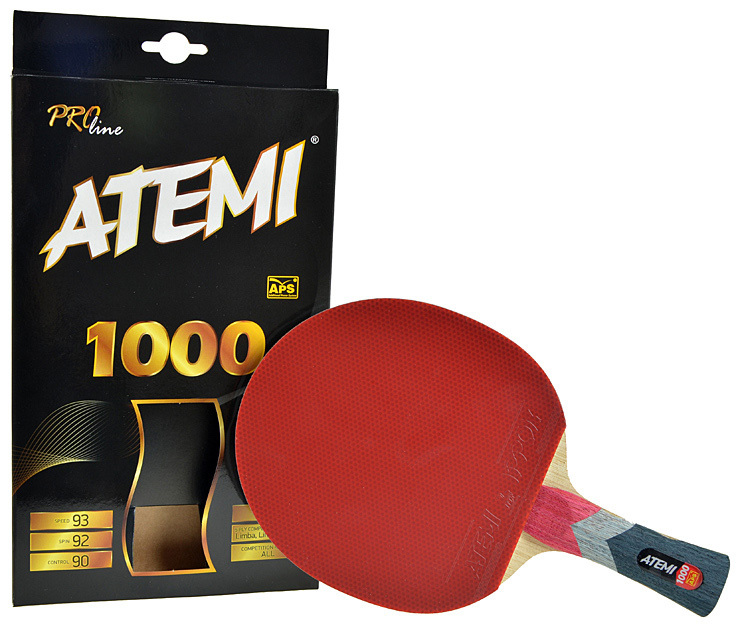 Table tennis bats Atemi 1000 is a product designed for professionals, providing superior speed and control. Made from the finest materials: 5-ply plywood (Limba, Limba, Abachi), sponge with a thickness of 2 mm, lining offensive (Atemi IPPON). 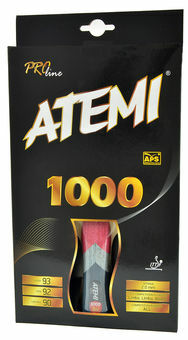 Racket Atemi 1000 has a patented system APS (Additional Power System). Special cavities provided in the handle of the racket reduce the weight and shift the center of gravity away from the handle, allowing for transfer are much faster with no loss of sensation balls.